Each month I interview an inspiring lady boss about how she uses social media to grow her business. 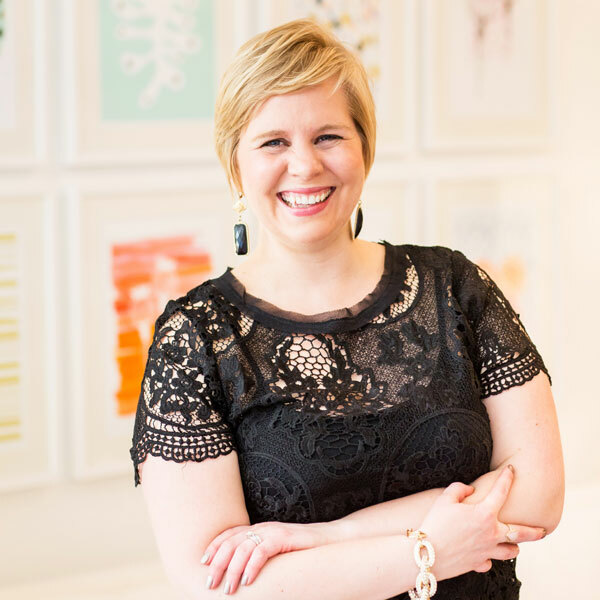 This month I am excited to welcome another fabulous Social Media Maven, my friend, Holly Meyer of Holly Meyer Design. 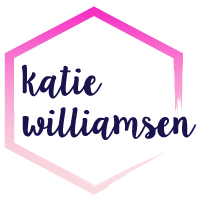 She is an amazing branding and web designer for creativepreneurs and has recently taken her business full-time. Enjoy Holly’s insightful answers. Tell us about your biz, Holly Meyer Design. Holly Meyer Design is a boutique graphic design studio specializing in branding and web design. I help creative entrepreneurs translate their heart and personality into visual designs that tell their story and connect with their audience. I also help mentor creatives throughRoar Coaching, where I help them gain brand clarity with their business. What 3 words would you use to describe your business? My most-used platforms are Instagram and Twitter. I’ve recently gotten into Snapchat (@hmeyerdesign) and love it! I’d say that is my new favorite. I have yet to really implement a business strategy on Snapchat, but so far it’s a fun way to give an unfiltered behind the scenes view of my day-to-day. I mostly use social media to engage with my audience, encourage others in their journey and showcase my creative work. Since Instagram is a visual platform, it’s perfect for displaying my work. I use both Instagram and Twitter to connect with others. I host the The Roar Tribe group on Facebook because it provides a little more intimacy than other more public platforms. There are so many great accounts to choose from! On Instagram, I am inspired by @prettycitylondon. I visited England a couple of summers ago and fell absolutely in love. This feed instantly takes me back to that place and makes me want to go on another trip! On Snapchat, I enjoy following Ashley Brooke Designs (@abdesigns). Ashley does such a wonderful job at cohesively using Snapchat with her brand. I get a lot of entertainment from Maya Elious @mayaelious. Maya keeps it real and not only inspires me in my business but in my personal life with all of her snap stories at the gym! I’m proud of the way I’ve translated my brand on social media so far. It took some trial and error, but now I believe that my feeds, especially Instagram, do a great job at representing the different facets of my brand and personality. As far as what I wish I did better… I’d love to get more involved in Periscope and/or Facebook Live. Video is the next frontier, and I’d love to find ways to incorporate more of that into my brand. For now, Snapchat is giving me good practice! This year I started batch-editing photos for Instagram once a month and it has done wonders for helping me to stay consistent on the platform. I upload all the photos to Later (formerly Latergramme) to schedule and post to Instagram. Once a week, I’ll plan content for Facebook and Twitter and schedule in Buffer. Be yourself! No one else has your voice. Don’t hold back on sharing your story. You never know who needs to hear the very words you have to share. Bonus Question: Have you enjoyed working for yourself? How did you make that decision? Working for myself is a joy, but it also isn’t easy by any stretch of the imagination. It requires a lot of self-discipline, which I’m still learning to navigate. The decision to leave my 9-to-5 was the most difficult decision I’ve ever made, especially when I essentially failed at freelancing a couple of years ago. My desire to continue pursuing my dream outweighed my fear. Plus, I have been commuting one hour each way Monday through Friday for nearly two years – it became unbearable. The biggest difference today from two years ago is that I feel so much more prepared and educated to run a sustainable business. If you’re thinking of leaving your day job, take advantage of as much professional development as you can beforehand! A huge thanks to Holly for sharing her thoughts on social media and business. Don’t forget to connect with Holly on her website, Instagram, Twitter, Facebook and Pinterest. Great read, Katie! Holly is one of the Later ambassadors and we really love her work. Thanks for sharing. If you want to collaborate or partner with Later in some capacity, please feel free to email: community@later.com.